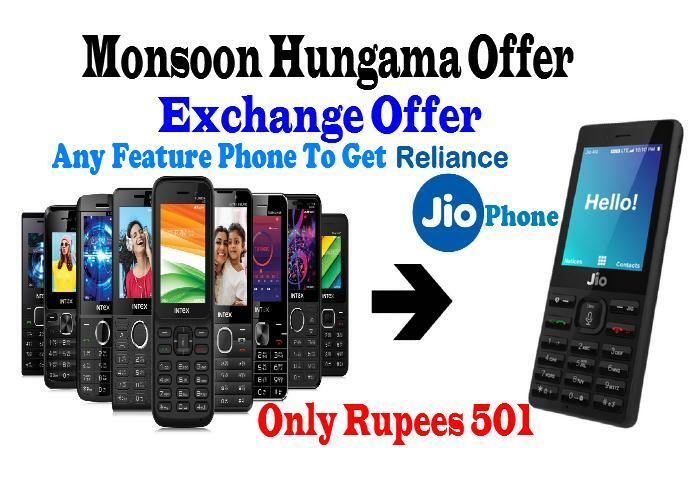 Reliance Jio Infocomm Limited has announced ‘JioPhone Monsoon Hungama offer’ in which the company is offering an effectively free JioPhone, in exchange of any other feature phone, at a refundable security deposit of rupees 501 and rupees 999 less than the original security deposit of rupees 1500. With the Jio Monsoon Hungama offer, the company also announced an exclusive recharge plan of rupees 99 for JioPhone users that comes with 0.5GB/day data for 28 days. 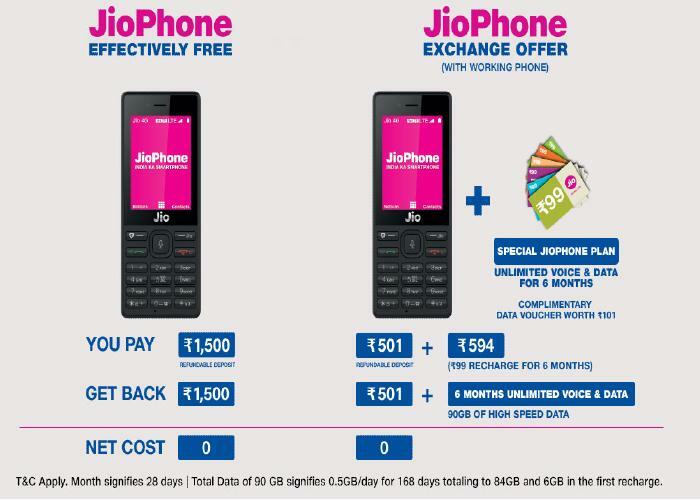 While the company is offering JioPhone at a security deposit of rupees 501, the feature phone comes with six months unlimited free data and voice at rupees 594 (Rupees 99 x 6). That means, customers will need to shell out rupees 1095, (Rupees 501 refundable security + Rupees 594 recharge) in exchange their old feature phone. However, to get now avail a device on Jio official website Jio.com.